This salad is for patients on the Nutriplus or Maintenance Program. This recipe supports patients that have lost their weight and are at or close to their goal weight. Whisk the mint, vinegar, oil, mayo, and mustard together in a bowl until combined. 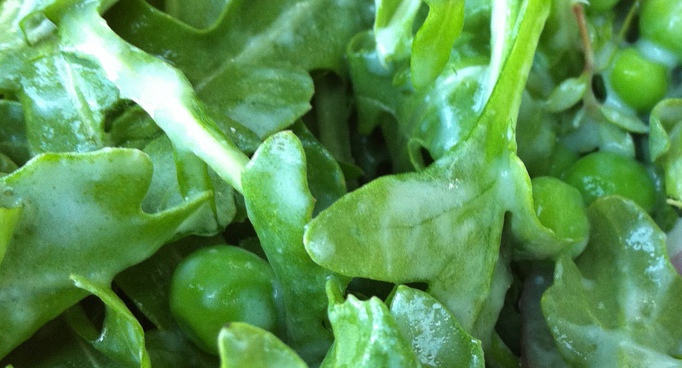 Toss the arugula, radishes, and peas together in a large bowl. Toss in the dressing until combined. Season with salt and pepper, top with the eggs and serve. This entry was posted in Metabolic Medical Center Recipes, Nutriplus Recipes (Balance Your Pyramid), Salad and tagged arugula, pea, Salad by foodies4mmc. Bookmark the permalink.